This workshop discusses why and how married/long-term couples stop listening to each other. 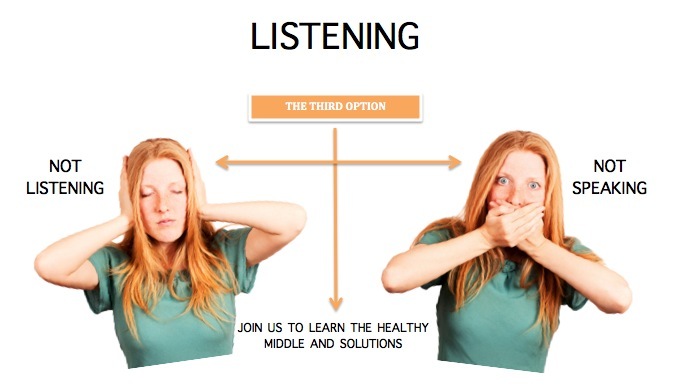 It emphasizes the absolute necessity of listening in order to have a healthy relationship, and teaches the technique of reflective listening to help couples begin to rebuild their relationship. For any event or experience, no two people experience it the same way. Listening may solve issues but the goal is merely understanding, not to solve (shown in the fun video below). We may still disagree and need (another workshop) conflict resolution.